A prestigious independent law firm specialising in commercial and private cases, MLP Law offer legal advice and support to firms and individuals across the North West. We were introduced to MLP Law by our long-term partners, PR Agency One, who recommended our services for the redesign of their company website. Their previous design was built around stock photography, making the business look smaller and less established than it was. They wanted a sleek web design that reflected their strong local presence and polished reputation, which they could confidently use as a lead generation tool. Their previous design was built around stock photography, making the business look smaller and less established than it was. The site had sprawled somewhat as the business evolved, with hundreds of pages and no real structure making it hard to navigate. As the website was not responsive and had various compatibility issues, the functionality of the site had also deteriorated, especially for visitors on mobile devices. Our initial consultation highlighted the importance of local credibility and smooth navigation to the client. However, it was also clear that the high growth prospects of MLP Law put the outfit at risk of outgrowing their website again in the future. As such, we focused on designing a website that would give the client real confidence in the North West marketplace, and flexibility to evolve the content in a futureproof manner. Our strategy therefore involved streamlining the structure of the old site, to create a new website with a contemporary design and user experience for visitors on any device. This was a time-consuming project, which required lots of due diligence to ensure there were no dead ends in the transfer from the old site to the new. It also required a hands-on approach to positioning the MLP brand. To ensure that the website reflected the brand image, we created wire frames and a style guide that would make it easy for MLP Law to feedback on the structure and design of key pages, before moving on to the build. We also created original photography of specific Manchester landmarks, to showcase their North West location. The photos were treated from the raw files in post-production, to highlight warm blues and golds – reflecting the brand colours. The client was delighted with the look and feel of their new site, which launched in April 2016. MLP Law now have a website that they can be proud to promote, so they can show off online and generate leads for their firm. 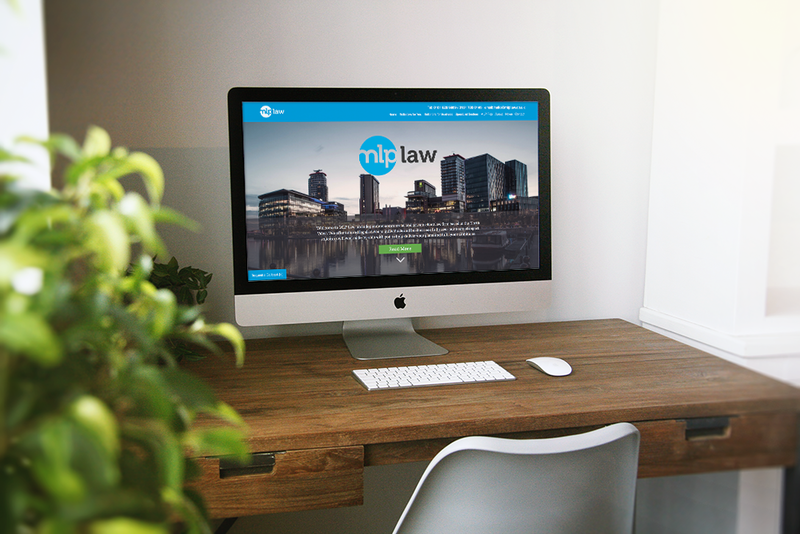 With its unique imagery and design that works beautifully on smartphones and tablets, their new site will help MLP Law stand apart from the competition, to fulfil its reputation as a leading independent law firm in the North West.